Flight To Success: Flight Safety! 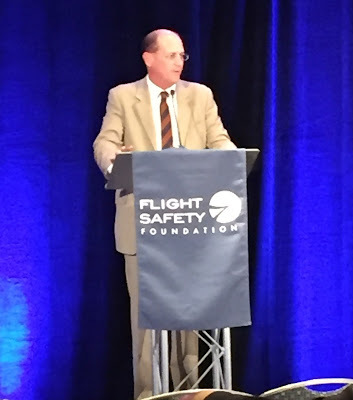 Delta's CEO Richard Anderson was a keynote speaker. 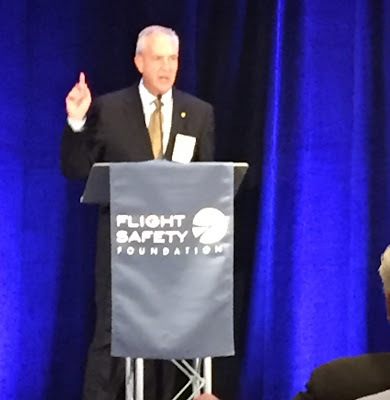 His down to earth speech about a safety organization was incredible! Since I am focusing on Safety Culture, and Safety Management Systems (SMS) for my PhD, I plan to schedule a meeting, if he has time in his busy schedule, to discuss ideas I've got. His speech left a legacy and solid impression with the entire audience. I happened to sit by an incredible woman at lunch, who I learned knew one of my sisters as they were not only neighbors in Seattle, but worked together on the crisis team for Alaska Airline crash. Sue gave an emotional filled speech on what was necessary from a corporation if the worst happens, and how Alaska held together... it was all about the people (and proud to say my sister Karolee was one of those people). We discussed SMS, Safety Culture, Crew health, aircraft tracking, lithium batteries in the cargo compartment. 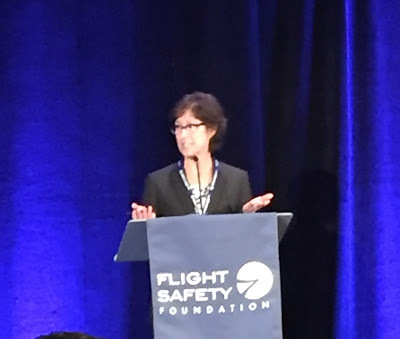 We also heard the FAA and NTSB speak on tips and tools for what to say to the media, and discussed their new directive on a learning culture. I wrote a bit about this during my Aviation Law course, but it's all about attitude and forthright learning that will make the difference in education or punishment if (and when) you make an error. This goes all the way down to GA pilots. So... be honest, have a learning attitude (Similar to what you will read in Flight To Success be the Captain of Your Life on the Learning Chapter) and you will see the new FAA. This is all about SMS! And then Airbus sponsored a great pool party. Sorry the photo does not capture the essence of this spectacular event. However, I happened to sit with someone and engaged in a great conversation on aviation and professionalism, human factors, etc. We were all wearing name tags. I looked at his and said, "I recognize your name... have you written an article some where?" An article? Nope... Numerous books! And two of which happened to be on my desk at home. Who is this famous Aviation Author? conversations you mention? Very curious. good in this pic; you look relaxed! Paul...thank you. Relaxed, but exhausted. A great week. Yes... I remember all. And... recorded each speech. Richard Anderson believes in open communication from top to bottom and anyone in the company can shut the airline down if there is a safety concern. As soon as I put this quarter to bed, I will be posting more of what I learned, and was said. And...the author... Tony Kern. I'm reading his book Flight Discipline now. More to come on that too!! Excellent writer with a solid safety message. Thank you for your comment and more to come!